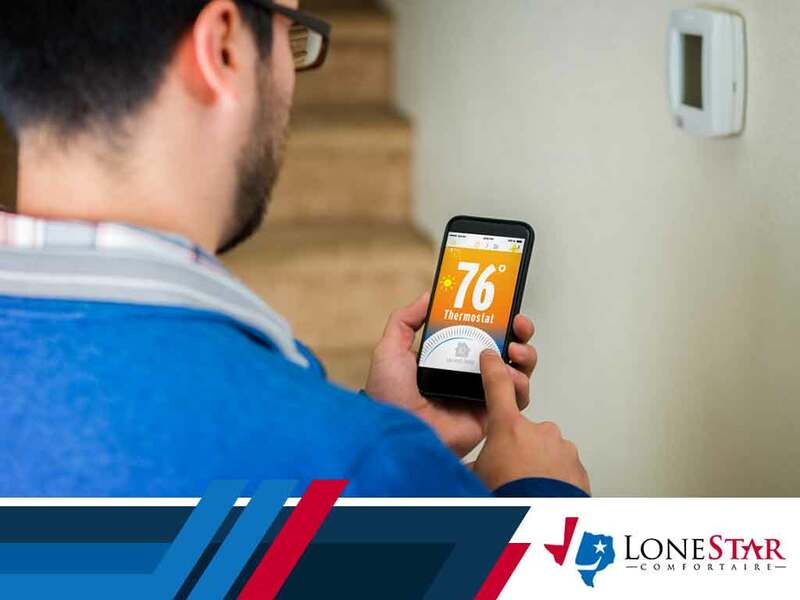 Lone Star Comfortaire, your local AC repair company, shares the three benefits of installing these smart thermostats in your home. Full control of your home’s heating and cooling system is the main benefit you get from installing Wi-Fi thermostats. You can change the temperature of your home at work or school with a simple push of a button on your phone or tablet through the thermostat app. The smart app also alerts you to changes in weather and important forecasts, allowing you to change and modify your home temperature accordingly. Wi-Fi thermostats are innovative in that they learn your family’s habits through questions in the app and by studying your personal adjustments. This means your thermostat will always keep the air quality in your home at high levels. As one of the top heating contractors in Texas, we recommend you switch to a Wi-Fi thermostat if you want reliable comfort in your home. The smart thermostat will maintain the heating and cooling parameters in your home or tweak them accordingly through its learned programming. This helps you save money in the long run. Wi-Fi thermostats help keep the household accountable for the changes they make on the thermostat. The app will record all tweaks and modifications, allowing you to see who changed the heating and cooling when they shouldn’t. At Lone Star Comfortaire, we offer expert and high-quality HVAC system maintenance. Call us today at (972) 578-1701 to learn more about our services. We are an AC repair company in Rockwall, TX, and other parts of Texas.